Other Names: Oldfields Location: Hardy County Campaign: Early’s Raid and Operations against the B&O Railroad (June-August) Date(s): August 7, 1864 Principal Commanders: Brig. The Battle of Moorefield was a cavalry battle in the American Civil War, which took place on August 7, 1864, at Moorefield, West Virginia, as part of the Valley Campaigns of 1864. Brig. Gen. William W. Averell led Union troops to a victory over Brig. Gen. John McCausland and his Confederate troops in Hardy County, West Virginia. On August 4, the Confederate cavalry continued with their objective of disrupting traffic on the B&O Railroad by attempting to raid New Creek (present day Keyser, West Virginia). The raid proved to be unsuccessful as the small Union garrison used topography to its advantage, emplacing fortified artillery atop the mountains that surrounded the New Creek Valley. After aborting the raid the Confederates fell back towards Moorefield and made camp. 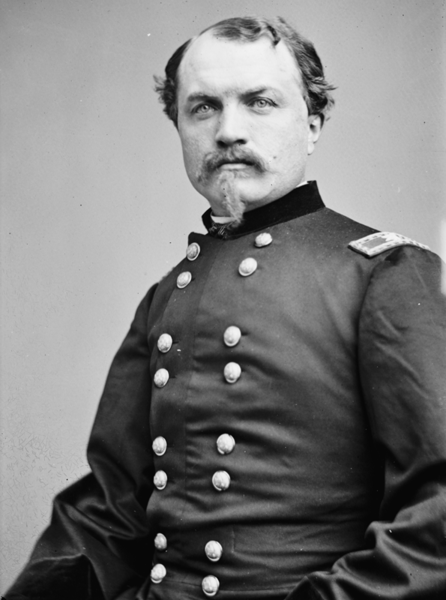 Having been operating virtually unopposed since he left Virginia, McCausland felt he was in no imminent danger and carelessly set up his camp with his two divisions separated by the South Branch Potomac River. While the Confederates attempted to raid New Creek, Averell's force crossed the Potomac at Hancock, Maryland, and headed for Springfield, West Virginia. Upon arriving on August 6, they learned of the Confederate raid and subsequent withdrawal to Moorefield. Averell determined not to let the Confederates escape him a second time and departed for Romney the following day, sending his scouts ahead to reconnoiter the Confederate position. By 6 p.m. that night his scouts met up with Averell at Mill Creek halfway between Romney and Moorefield. Because he was outnumbered nearly 2 to 1, Averell planned a surprise attack on the Confederates by launching a night raid. The Federals marched from Mill Creek at 1 a.m on August 7. At around 3 a.m. the Union vanguard lead by Capt. Thomas Kerr encountered and captured the first Confederate pickets north of Moorefield. 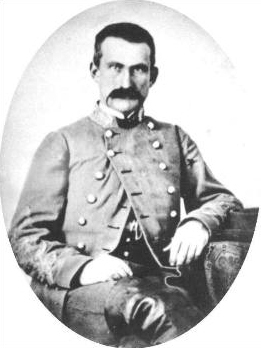 After the pickets were sent to the rear, Averell rode up and prepared for his attack, placing Maj. Thomas Gibson in the center along the Moorefield road. Two columns under Col. William Powell formed on the flanks of Gibson. Kerr again lead the vanguard. With his line formed Averell ordered the attack. Gibson's column immediately smashed into the Bradley Johnson camp. Most of Johnson's men were asleep and woke up only in time to be taken prisoner or rush off in full retreat. The commotion of Johnson's retreating men was enough to awake the men in McCausland's camp on the other side of the river who were able to form a line and meet Gibson's advance at the river. Averell had planned to meet resistance at the river and thus sent his two flanking columns to cross up and down stream respectively of Gibson's crossing. The two columns soon crossed and poured into the flank of the hastily formed Confederate line causing it to break into retreat. The Federal advance then pushed on encountering Brig. Gen. William Jackson's horse cavalry on the Winchester pike east of town. Jackson tried to bring his guns up to fire on the Federals, but because the retreating Confederates were so interspersed among them he could not get a shot off before they were overrun and captured. The official reports show that Averell captured 38 officers and 377 enlisted men in addition to killing at least 13 and wounding 60. The Confederate losses to capture might have been higher, but due to the speed of the advance many Confederates initially captured were able to escape as they were sent to the rear. The victory cost Averell 11 killed, including 2 officers, 18 wounded, and 13 captured. Those captured were likely stragglers rounded up by John McNeill's partisan command, which was operating in the area. The devastating loss crippled the Confederate cavalry in the Valley. For the duration of the war in the Valley they would no longer have the dominance they previously enjoyed throughout the war.